When it comes to planning the ultimate destination wedding, a lot of questions may start running through your mind. But, when you’ve decided to have your wedding in a different state, you start to wonder where the perfect place will be that will really provide that unforgettable wedding. There are a broad variety of wedding venues throughout the world, but the ones that really stand out tend to be located within golf courses. Many times, golf courses are designed for those beautiful scenic wedding photos, and may be the perfect outdoor solution for your wedding. When asking yourself, “what are the best golf course wedding venues near me?” you may not know where to start, but if you start in Texas, you’re sure to find a gem. When you think of the most beautiful wedding photos, they are mostly outdoors with lots of greenery, beautiful sunlight (or sunset) and totally flawless. One perfect venue, located in Texas, is the Avery Ranch Golf Course. This specially designed venue has two separate options for your reception. They accommodate your wedding guests according to how many are attending and offer a fully catered event, with memories to last a lifetime. 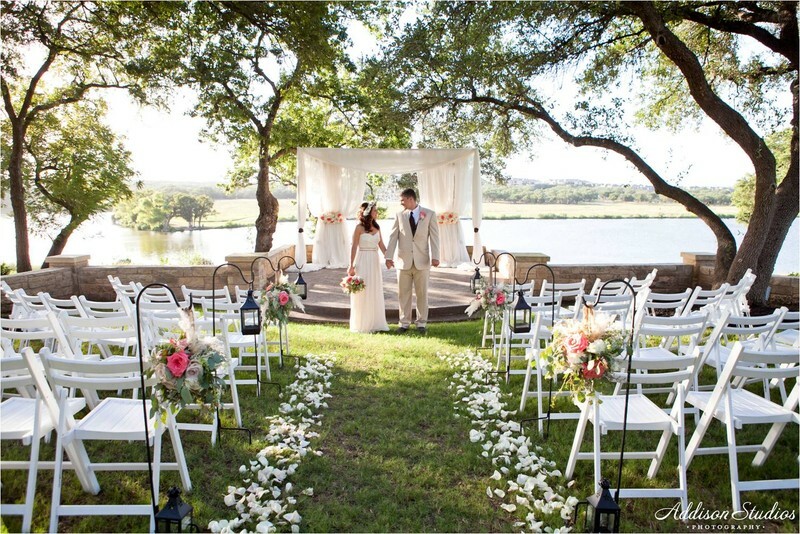 Located on the beautiful banks of Bushy Creek, this wedding venue is sure to give you all the feels. They promise a spacious, beautifully decorated venue with their four thousand square foot event center located right on the course itself. 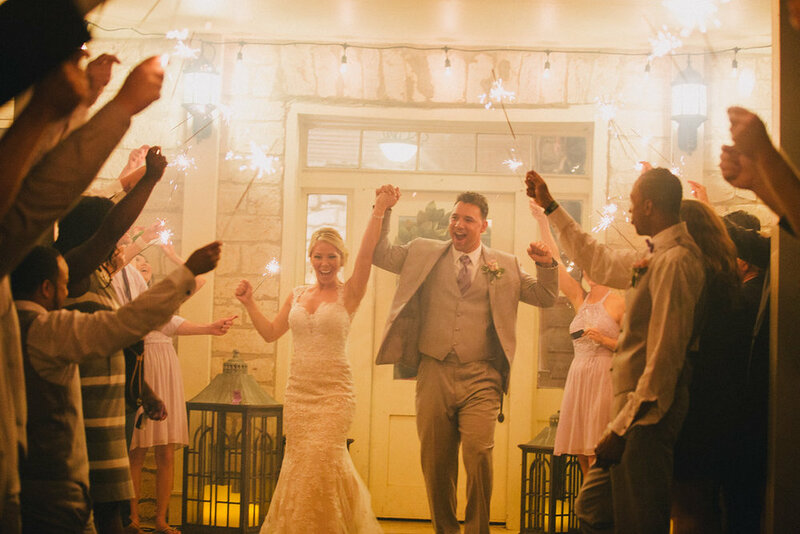 Whether you live in Texas, or you’re looking to find the destination wedding of your dreams, Avery Ranch Golf Course can be just that for you. Nestled right in the center of it all is their signature infinity pool which makes for even more breathtaking and dramatic photos. Not only does this unique venue fully cater to any of your needs but they also offer different wedding packages according to your budget. Their accommodations include venue, linens, catering, flowers, set-up, dj service, photography, open bar and so much more. You will find everything you need and beyond at Avery Ranch. If you’re looking for a truly unique venue with photography potential, Avery Ranch is more than you could ever hope for. With stone pavements, the beautiful infinity pool, water backgrounds and luscious green grass, you’re bound to have some unforgettable photos and memories. Whether you have a mere fifty guests, or a large two hundred, the Lakeview Room provides a wonderful environment to share your special day. Avery Ranch was founded back in 2002, and was opened to be the perfect golf course and wedding venue for anyone visiting Texas Hills. Located in northwest Austin, this golf course has been known to be Texan golf at its finest. It was built on natural limestone and is surrounded by beautiful streams of water, sure to provide you with a breathtaking experience, whether it’s golf or planning the perfect destination wedding. Avery Ranch has been given numerous awards for providing such a unique take on golf and wedding venues. The beautiful lakefront wedding gardens are used so often for their promise of incredible wedding photos. 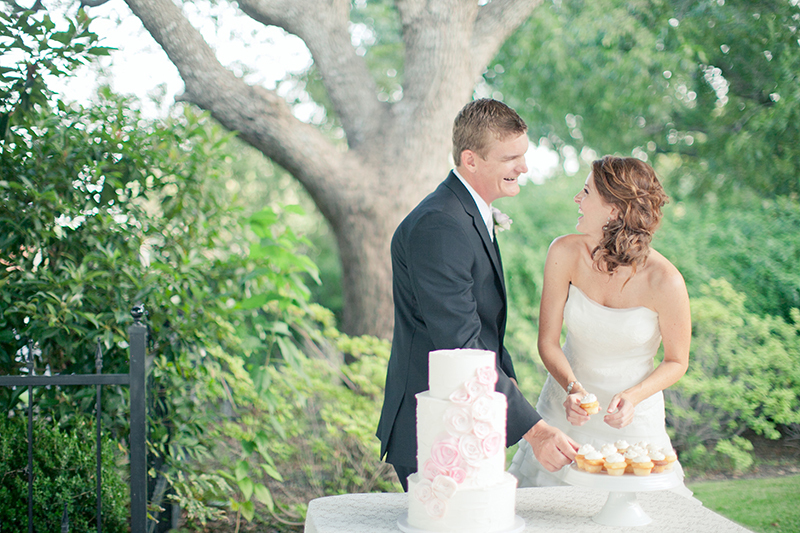 When it comes to a golf course wedding venue, Avery Ranch is at the top of the list. With modest prices, a full service venue and views that could not be replicated anywhere else, you’re sure to have the wedding of your dreams. I started this new series, The Vendor Says, wanting some of my favorite vendors in the industry to expound upon their working relationships with wedding planners and the importance of having an experienced planner for your most special day. In the first post of this series, with Exquisite Sounds Entertainment, that you can read here, speaks of how he got into the wedding industry and the importance of brides and grooms having an experienced planner at the wedding. Weddings require a great deal of planning as there are many logistical elements, long before any vendors arrive on the wedding day. When there's a great planner to lead the charge and get all of your vendors to work seamlessly and harmoniously on your wedding day, you know you're in good hands. As mentioned in the previous post, having strong vendor relationships is key when it comes to orchestrating and executing your wedding day. 1. How did you get involved in Photography? I've always enjoyed photography. I carried a small camera everywhere I went. One day my wife brought home a photography school flyer and I signed up ‎to take classes. As they say, the rest is history. 2. Why did you choose to become a part of the wedding industry? I love telling stories. Capturing emotions is something I truly enjoy and weddings allow me to be a part of this all the time. 3. How did you get into the wedding industry? I simply photographed for a friend that was getting married. 4. What do you love about being a part of the wedding industry? I love the energy. There is something special about being a part of someone's wedding. 5. What's your ideal bride or couple? First and foremost a couple truly in love. Secondly, a couple that completely trusts me and understands my vision and style of photography. Lastly, a couple that understands the importance of having a good planner and Photographer. 6. Do prefer working with wedding planners and do they make your job easier? I prefer working with a planner and they make my job easier. From a planning perspective they are instrumental in making sure everything runs effectively and plan for the unexpected. 7. Do you encourage your brides to choose wedding planners? Why or why not? I encourage all brides to hire a planner. Having a planner allows you to actually enjoy your wedding day. By not having one they run it issues of stress and having a badly planned event which could end up costing thousands of dollars. 8. What's the best piece of advice you can provide to a bride? Get a planner. Trust the planner to handle all the stress of wedding planning. Enjoy your day. Soak it all in as the day goes by so fast. 9. What has been the worst thing you've seen from a wedding when the bride and groom has gone against your suggestion of hiring a planner? The wedding started 4 hours late. Family members were missing and the whole day was chaotic. Today, I’ve started a new blog series; The Vendor Says, with the intent to draw greater attention to the working relationship between the planner and vendors we work diligently with when planning and executing your wedding. Executing a wedding is often a full-on production, requiring countless hours of planning and numerous labor hours, installing and ensuring that every last detail is picture perfect. The vendor relationship is important, as everyone works harmoniously, under the planner’s guidance, to give you the most amazing wedding day. This further emphasizes the importance of hiring a professional planner for your wedding; one that’s knowledgeable on the ins and outs of the planning process, is well equipped to handle any situation that may arise, and have strong vendor relationships so that you can have some assurance of what the end result will be. Since so many brides attempt to go at it alone and plan their wedding themselves, I wanted to shed light on how we, as planners, help orchestrate the planning and execution of a wedding, while making it easier for everyone involved. 1. How did you get involved in DJing? So, I’ll admit, I’ve always loved music, from being a really bad member of the church choir, to being in a high school Hip Hop group, to even pretending to be a hype man in my college years. It was in college, however, that I first attempted to get into DJing. I admit, I was horrible. Just horrible. I tried again several years later because being a DJ really appealed to me and I love all types of music. I tried again and I was still horrible. Several years later and minus a few distractions, I tried again and it stuck and I was on my way! I’ve now been DJing for years and I’ve gotten pretty good, but still find the time and desire to work on and sharpen my skills each week to make myself and my team better. I chose to become part of the Wedding industry because of the great people that I met as I was researching or even just entering the field. I’ve met a lot of just really positive and create people and being around that energy each and every week, as we collectively help someone celebrate one of the best days of their lives is a great feeling. Actually the very first wedding I did was for a friend of a friend. I was DJing on a regular basis at a few bars, clubs and private events and someone asked if I could do their Wedding. I had never really thought about it but agreed to do it. I worked with them on their ceremony & reception music and quite honestly, just never looked back. From the time I did that first wedding I was hooked and I’ve wanted to do bigger and better weddings ever since. I love the community that exists within the industry. It’s great to be a part of a group of people that really care about what they do and how they do it. I find that wedding professionals are always looking to do better and be better and that really matters to me. I also find that we’ve been fortunate to be connected with some really great fellow vendors who offer great feedback, insight and even just help provide opportunities to one another. That level of support and dedication to the craft really excites me and keeps me motivated to continually add and do more! The ideal couple, to me, are music lovers, but not just one genre. They’re lovers of Top 40, Hip Hop, 80’s, 90’s and just all around good music. A couple with a deep appreciation for good music and what good music and entertainment can do for an event. Couples that offer input, but allow for enough creative control from the DJ to navigate the evening musically are always the best to work with because they don’t appear so rigid with their musical requests. They simply want to have an amazing time and help ride along on the journey. 6. In your field within the wedding industry, is it easier or preferred to work with a planner or the couple alone? Working with an organized, professional and knowledgeable planner is always a plus when it comes to weddings. The age old saying of “you get what you pay for” is true here. I prefer if we always have a great planner on board to work with. This helps to cut down on all the back and forth with the couple on the day of the wedding. There are a number of things that could happen or events that could change and being able to have a planner to facilitate those always helps. 7. Do wedding planners make your job easier? If so, how? If not, why not? In some cases they do, in some they don’t. With everything it’s about relationships and working together. Some groups work better together as they know their team member's strengths and weaknesses or they see where help or value can be added. Planners help to work with the bride & groom, venue and other vendors while we as entertainers can entertain. We don’t have to be consumed with announcing tables for the buffet, not that we mind, but a planner’s simple communication to each table is far better than a DJ announcing it several times over. Also, if something changes or needs to be changed, it’s helpful to have a planner on hand to assist with those items, while not having an experienced one can make these times difficult and take away from the event at hand. 8. Do you encourage your brides to choose wedding planners? Why or why not? We always encourage our couples to secure the services of a knowledgeable planner. No matter if it’s for Month Of Planning or Full Service Planning, we definitely understand the value of having an experienced planner. If for nothing else, it helps the couple to be able to sit back and enjoy the moment at hand without having to worry about every single moment that’s going on or that’s coming up. They can enjoy the process as it leads up to their special day. Being consumed with contacting all the vendors and all the other various tasks takes away from the experience that they’ve been looking forward to for so long. 9. What's the best piece of advice you can provide to a bride? Simple. Hire an experienced Wedding Planner, oh and Exquisite Sounds Ent. But seriously, it would be to hire a wedding planner and hire one that you want to work with and that wants to work with you! 10. What has been the worst thing you've seen from a wedding when the bride and groom has gone against your suggestion of hiring a planner? I’ve personally seen a lot of things…but usually I’ve seen the worst when there;s no one at the helm on wedding day. It tends to be just a bit of chaos leading up to the point where the band or DJ takes over. In these cases there's always questions around when we start, end, when’s food, etc..once the party gets going, we’re in control, so that’s great, but leading up to that point are some very critical points and I’ve seen some really great moments missed because of lack of good planning and attention to detail.